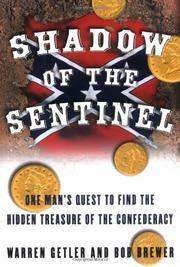 Treasure hunter Brewer’s quest for Confederate gold, as told to veteran journalist Getler. Brewer grew up in rural Arkansas, where two uncles led him on expeditions into the woods, telling tales and pointing out strange markings in the landscape. Only later did he begin to realize that their stories outlined a conspiracy dating back before the Civil War. The Knights of the Golden Circle was a secret pro-slavery organization believed to have hidden a vast treasure intended to finance the rebirth of the Confederacy. Brewer and Getler trace the history of the KGC, which they claim engineered both Lincoln's election (to provide a pretext for secession) and assassination. Other historical highlights include Jesse James’s legendary career and Arizona’s “Lost Dutchman” mine, famous among treasure hunters. Much of the narrative appears to be based on Civil War propaganda or popular accounts of outlaw treasure—one of which argues that Jesse James was two different men, both of whom lived to the age of 100 after faking Jesse’s murder. As their most important evidence, they point to an allegedly widespread system of secret signs and maps based on Masonic ritual, Baconian ciphers, anagrams, etc. The interpretation of such esoterica is Brewer’s forte. Historical chapters alternate with tales of his treasure hunts, some successful, others not. On several occasions, Brewer reports being interrogated or approached by armed men he believes to have been sentinels posted by the KGC. Brewer’s wildest claims remain uncorroborated by discoveries of treasure. Readers who want to double-check the facts may find the extensive notes useful, but the plodding prose is unlikely to inspire anyone not already bitten by the gold bug. Paranoia or secret history? Brewer never makes case.